Many Indigenous people and increasingly scholars believe that genocides occurred against the Americas’ Indigenous Peoples. Yet, a reactionary refrain cites germs as reason enough to let colonizers off the hook for committing the worst of crimes against humanity. This refrain goes like this: germs were unintentionally introduced, killed Natives independently of human agency, and produced such massive depopulation that violence proved insignificant to producing the end result—continents widowed of their original inhabitants and easily conquered by European newcomers. 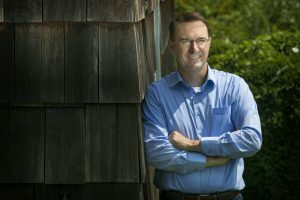 A growing body of scholarship, however, demonstrates that disease-induced deaths happened not as a result of germs operating on their own against passive Natives but instead as a result of the larger process of colonialism that made Natives vulnerable; one in which disease intersected with violence to escalate mortality and to curtail population recovery. The germ refrain thus should no longer stifle efforts to employ the term “genocide” in the moral vocabulary we use to the tell the full story of American history. All are welcome to attend. Registration is free, but strongly encouraged as seating is limited. 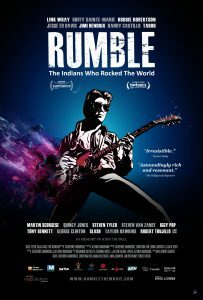 Film screening of RUMBLE: The Indians Who Rocked the World. A documentary that provides insight into the often overlooked influence of Indigenous people on popular music. It highlights musicians such as Taboo (The Black Eyed Peas), Jimi Hendrix, Buffy Sainte-Marie, Robby Robertson, Link Ray, Charley Patton, Mildred Bailey, Randy Castillo, and Jesse Ed Davis, among others. This film shows how these musicians had profound effects on many music genres such as jazz, blues, pop, rock, heavy metal, and more. All are welcome to attend. Registration is free, but strongly encouraged.